Our office is conveniently located near the intersection of Willow Street Pike South (Route 272) and Route 741. For directions, click here. 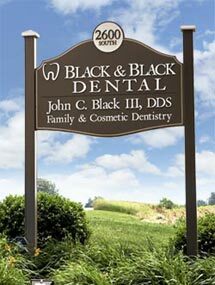 Black & Black Dental is a dental practice offering family and cosmetic dentistry located in Willow Street, PA. Founded in 1961 by Dr. John C. Black, Jr. (”Dr. Black,” now retired) and joined by his son Dr. John C. Black, III (”Dr. John”) in 1989, we’ve been serving area families for fifty years, first in our home/office on Willow Street Pike North and now in our current location on Willow Street Pike South. Because our roots are here in Willow Street, Lancaster County, we remain dedicated to providing small town, family-oriented service while providing state-of-the-art dental technology and techniques to keep our patients smiling. 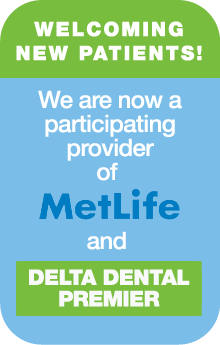 We are a dedicated team of professionals committed to providing the highest quality dentistry in a caring environment. We are committed to education that refines and updates our knowledge, skill and expertise so that we may provide excellent, state-of-the-art dentistry. Paul Ahnert, hygienist with Black & Black Dental for 30 years, has retired effective June 30, 2018. Dr. John and the team wish him the best in his retirement and pray for him as he undergoes treatment for a medical issue. We miss you, Paul! Because Paul is so beloved among the patients here at Black & Black Dental, we wanted to give him the opportunity to say goodbye to everyone he's touched with his kindness and professionalism over the years. Click here to read his retirement message. Black and Black Dental is proud to introduce VELscope Vx oral health screening technology to our patients. The VELscope Vx device allows for more advanced detection of cancer, precancer, and other oral disease than a typical screening with a painless light shined into the patient's mouth. No rinses or stains are required. The VELscope Vx's "ring of light" causes the healthy tissue to flouresce and glow green, while potential areas of concern remain dark. As a result, it allows your hygienist to more easily detect potential problems than could be seen with the naked eye. For many years I have been a patient of Black & Black Dental, and have always been satisfied with my treatment. The office staff are pleasant and friendly, the equipment up to date, and Dr. John is always ready with a detailed explanation if there is any question about procedures. Recently, he took time from his vacation, along with his chairside assistant, to open the office and see me after I had fallen and shattered two front tooth crowns. His immediate treatment saved the teeth. I couldn't have been more appreciative. He is a skilled, dedicated dentist who not only cares for my teeth, but cares about me as his patient. 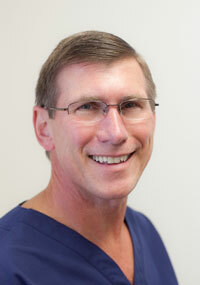 I am very pleased that Dr. John and his staff are now offering VELscope to us as clients! Our family has been with Black and Black Dental for three generations now. I love how Dr. John keeps up with the latest technology available. As an RN I have seen the devastating effects of oral cancer. I also had a great-aunt die of oral cancer. Early detection is critical. I have full confidence in Dr. John and the Black and Black staff members to continue providing our family with individualized, high quality, on-site technological care for many years to come!